The Apple iPhone 5 has been around for a year now and as ever Apple like to do a bit of an annual refresh. 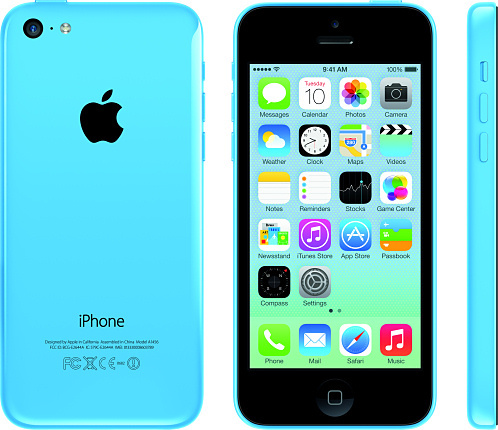 For the first time they have split the iPhone range into two, the high-end iPhone 5S and the cheaper Apple iPhone 5C. Despite the promise of a "cheaper" iPhone, the iPhone 5C is not actually that cheap. In the UK the 16GB basic model will retail for £469 SIM-free (approximately €560), a price which will get you any one of a number of high-end smartphones, and it's only £80 cheaper than the least expensive 5S. The existence of the brightly-coloured iPhone 5C and the refreshed operating system is a clear nod to Nokia's current trend of using colourful polycarbonate casings and the influence of the ultra-modern Windows 8 operating system. Sadly for Nokia, their design influence hasn't translated to a mass of phone sales whereas you can guarantee that the iPhone 5C will fly off she shelves. The rest of the technical specifications are pretty familiar. There's a 4" 640 x 1136 retina display on the front, an 8 megapixel camera on the back with LED flash, there's an HD-capable front-facing 1.2 megapixel camera. Inside is the familiar A6 processor, which may be last year's model but is still a very fast beast. LTE is supported with different bands for different markets, and there is a CDMA version for the US and a GSM/UMTS version for everywhere else. If you own an iPhone 4S or an earlier model then this is going to be a slightly cheaper way of getting an upgrade, but given that rival Windows and Android devices can easily beat the 5C in terms of camera abilities and screen size then it is unlikely to persuade anybody to switch from their HTCs, Samsungs or Nokias. 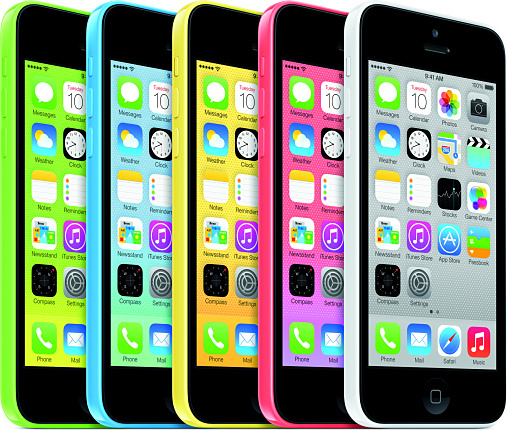 The iPhone 5C will be available in most major European countries from 20th September onwards.